The fundraiser was inspired by Father Real "Joe" Corriveau, a priest raised in Winthrop who founded the church in the mountains of Haiti. WINTHROP — Early this year, the first plank was laid in a construction project in a mountainous region of Haiti to rebuild a Catholic church that was destroyed in an earthquake in 2010. Father Real “Joe” Corriveau, a Winthrop native who first moved to the Caribbean nation in the 1960s, founded the parish, St. Anthony of Padua in the town of Fond Oies. 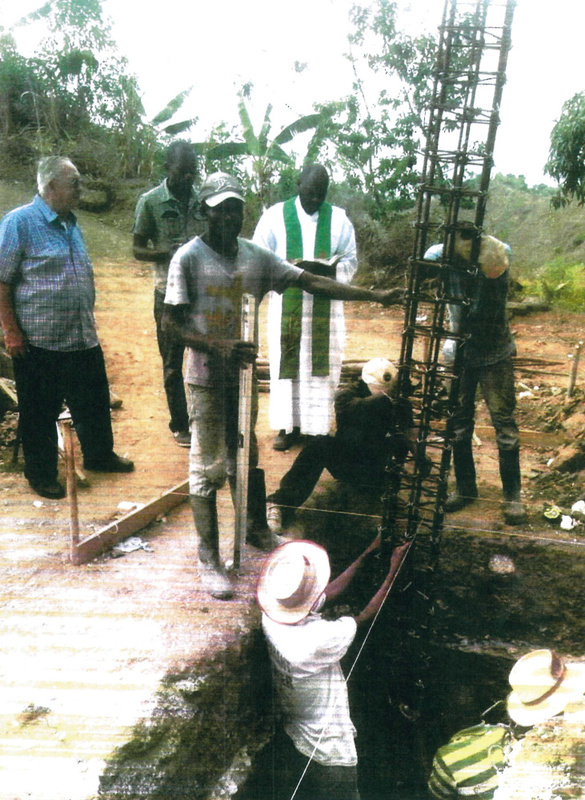 Attendees at the groundbreaking included an engineer who had organized the project and a pastor, Father Michard Jean-Jacques, who said a prayer to bless the construction site and wore a white robe, called an alb, and a green stole around his neck. According to Corriveau, when rain started to fall shortly after Jean-Jacques finished his prayer that day, the organizers saw the weather change as a good sign — not least of all because it would provide some much-needed water for people’s gardens, he said. But one of the biggest windfalls to come to the parish has come from thousands of miles away: Corriveau’s hometown. Beginning in 2014, a group of people who grew up with Corriveau — who is almost 85 — began raising funds for the roughly $250,000 construction project. They have so far raised $180,000, which was enough to begin construction on the concrete building, which is 80 feet long and 40 feet wide. In an interview, two of the campaign’s organizers, Raymond Fleury, 84, and Lou Carrier, 83, offered a simple explanation for their effort. 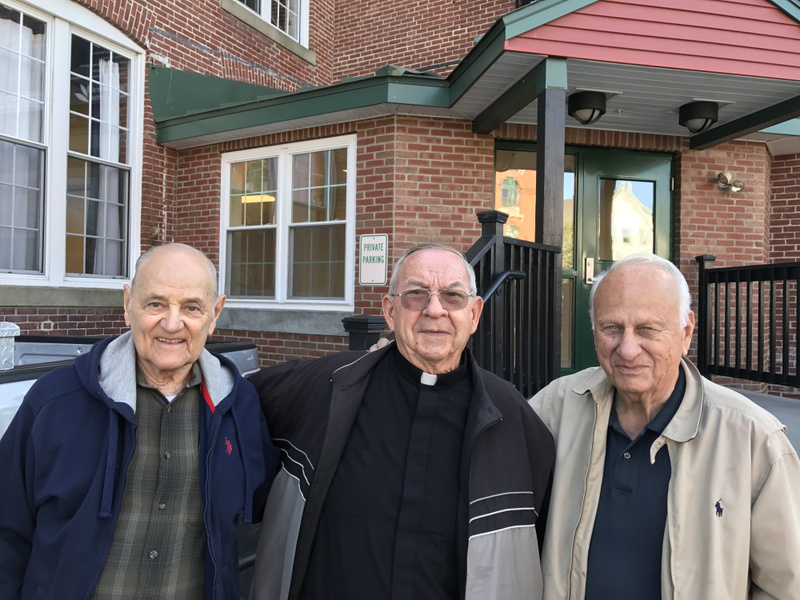 “We’ve been lifelong friends with Father Joe,” said Carrier, who has organized the fundraiser through the St. Francis Men’s Club in Winthrop, which is part of St. Michael Parish based in Augusta. Carrier expressed appreciation to those who have donated to the effort and to Rev. Francis Morin, the pastor at St. Michael, who agreed to let them organize the project. 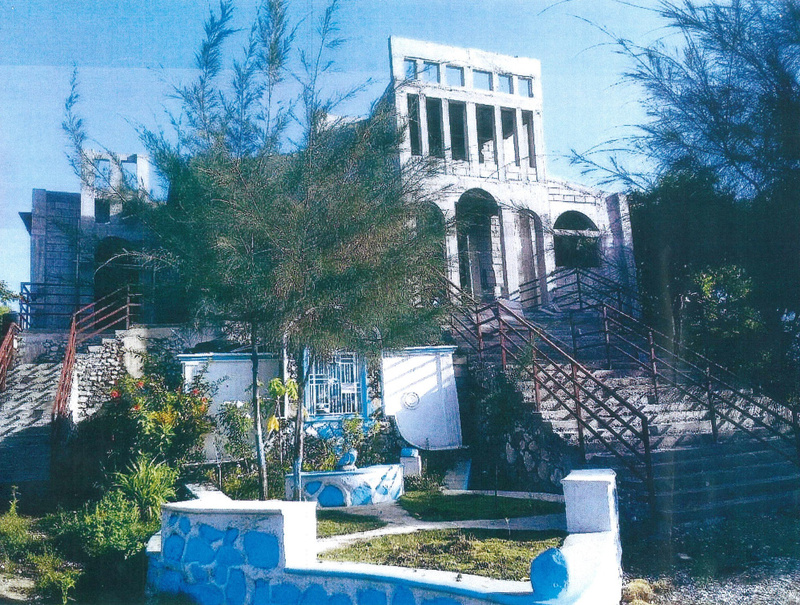 The funds have allowed the Haitian parish to purchase iron, cement and steel reinforcements, which are needed to protect the building from future earthquake and hurricane damage, said Corriveau, who now works as a chaplain in the country’s capital, Port-Au-Prince. Since the church was destroyed, the roughly 3,000 people who belong to the parish have worshiped in temporary structures, he added. The project also benefited from a man who lived nearby the construction site. When he saw volunteers using shovels and hoes, he offered the use of his bulldozer to level the site, according to Corriveau. But while the skeleton of the building is complete, it still needs doors, electricity, benches and other work, Corriveau said. Carrier is still seeking donations, he said, and asked that they be sent to the organization for which Corriveau works, Missionary Oblates of Immaculate Mary. Donations can be mailed to Father Real (Joe) Corriveau, OMI Oblate Foreign Mission Office, 60 Wyman Street, Lowell, MA, 01852.